The new Tourist Services Center was opened here in July 2017. There is a luggage room available for visiting Tišnov. Bikeboxes were set up for bicycle storage. There are also public toilets in the center of the center and the Tourist Information Center is moved here. TIC has been operating since 1.1.2015 as one of the centers of the City Cultural Center. TICs are classified according to the uniform classification of information centers in Class B. Located in the premises of Hotel Květnice (entrance from Komenského square). There is a barrier-free access. 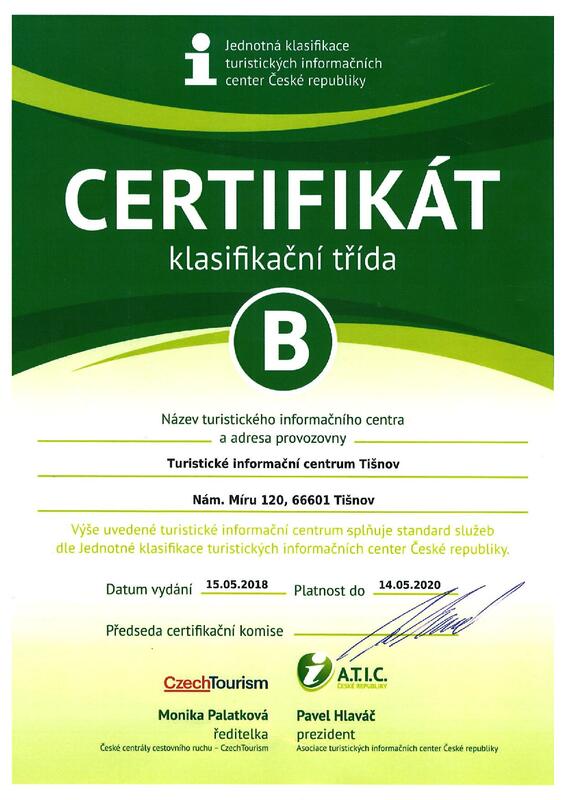 It provides not only classical information services, but also extends its scope of work with billboards, rental of space in MěKS and last but not least the sale of tickets for cultural events held in Tišnov and its surroundings. We are one of Ticket Art, Ticket Stream, and Colosseum Ticket Tickets.